I have an external hard-drive for saving all my photos/memories. I put all the pictures to the folder INTENSO/Handy-Backup/IPhone/DCIM/. Because I resetted my iPhone, I wanted to move all the old pictures in a subdirectory called generation1 and to store the new ones in generation2. However, when I moved the all files in the folder INTENSO/Handy-Backup/IPhone/DCIM/generation1 shortly afterwards the harddrive got plugged off accidentally. Can anyone give me a hint how to restore these data? Browse other questions tagged files mount memory data-recovery external-hdd or ask your own question. 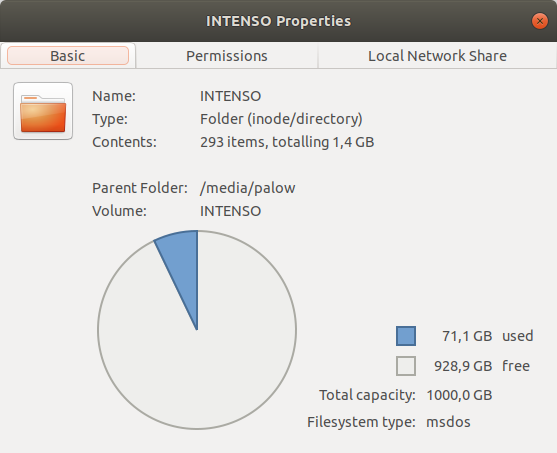 Gnome on an external hard drive? How can I unveal files on my external hard drive? Did my $ mv '*.mobi' command concatenate my files?